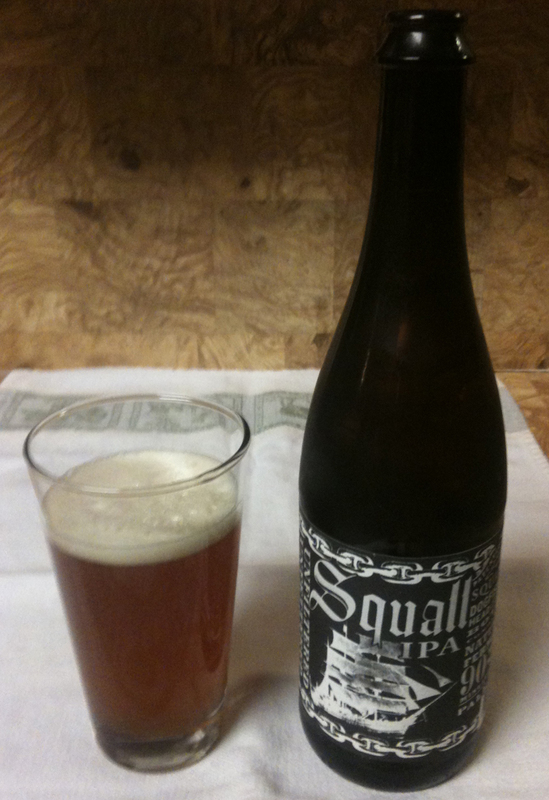 Day 11 of IPAs - Squall IPA from Dogfish Head Craft Brewed Ales. 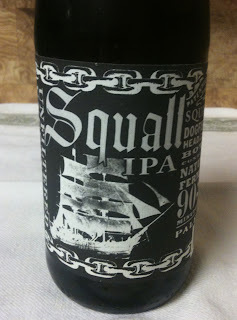 It is an unfiltered, bottle conditioned version of their 90 Minute IPA. 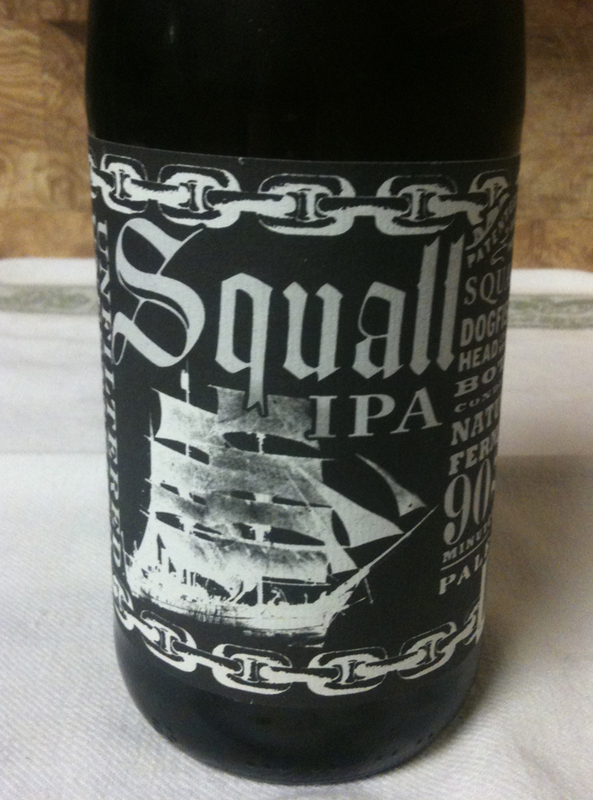 This comes in a 25.4 ounce bottle, listing 9% ABV. It pours with a fairly small head. The color is an amber honey, and somewhat cloudy. The aroma has a sweetness that reminds me of honey, and the honey is also there in the taste. It is very smooth, with light hops and a little bitterness. I would rate it a medium in strength of flavor. With the smoothness and higher alcohol content, this is reminiscent of an after dinner drink that is to be sipped slowly. There is very little bitterness in the aftertaste, and a little spice.